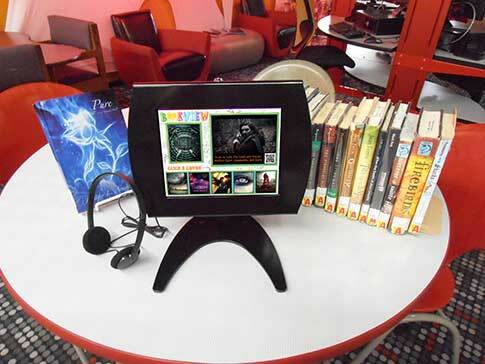 ADD “WOW” TO YOUR TEEN SPACE WITH OUR NEW BOOK PREVIEWING SYSTEM! Turbo-charge your YA collection with BookView! Working with the major publishers, we offer a wide selection of the very best teen book previews available. Whether the plot revolves around science fiction, fantasy, rites of passage, or teen romance, BookView gives you the power to program content most relevant to your community. As an added bonus, an interactive social media component allows teens to rate the trailer and book, read author commentary, and ask the author a question – all from their smart phones. Our dynamic user interface can be run on a sleek touchscreen tablet, dedicated PC or digital signage. 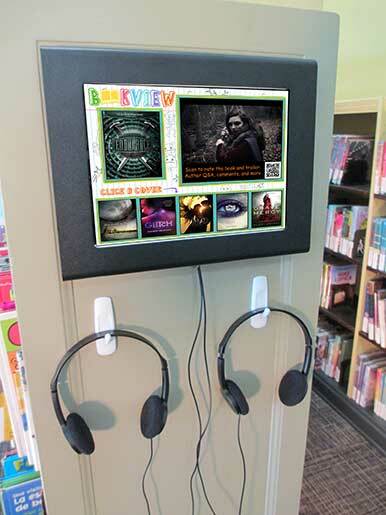 A QR barcode embedded within each preview, allows teens to access additional information about the book and author on their mobile devices and give their input. Library customers have unlimited access to our ever-growing content library of dynamic previews. CONTENT CAN BE REFRESHED DAILY! 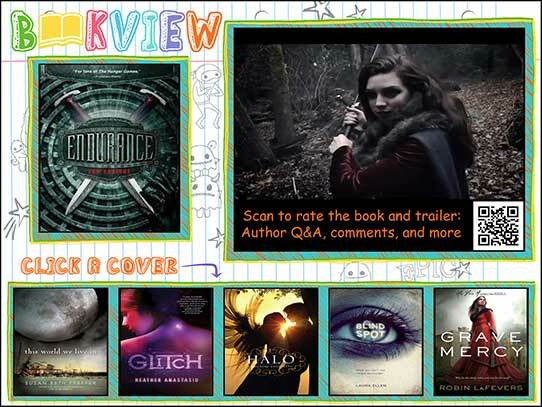 Librarians select previews for their BookView interface from our ever-growing content library. A user name and password allows access from any computer. The user software uploads key usage statistics each night to the BookView server. Librarians can track total usage and which titles are most popular.